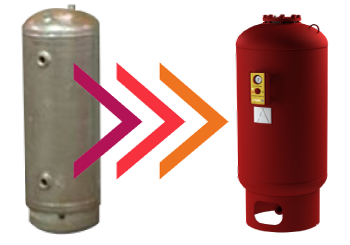 There are many reasons to upgrade from a plain steel compression tank to a newer bladder diaphragm tank. The main benefit is to reduce maintenance in a typical HVAC system. Compression tanks are prone to waterlogging, which causes loss of pressure control in the system. Unlike a compression tank, bladder diaphragm tanks separate the air from the water, so they cannot become waterlogged. Bladder tanks are also space-saving because they are typically smaller in size. 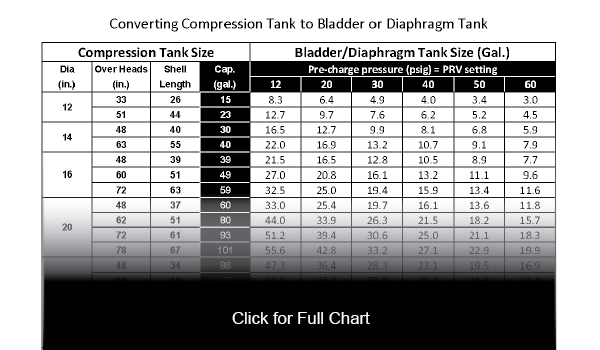 Wessels often fields questions about how to convert compression to bladder tanks, so we’ve developed several easy tools. Our free tank sizing software can do the work for you. 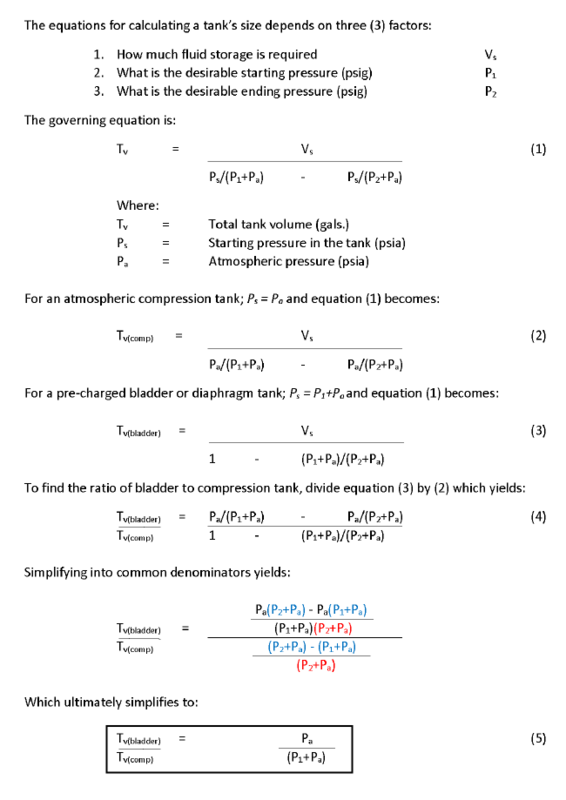 However, for a deeper understanding of the math involved, we recommend following along below to find the formula and charts that will help you determine what size and kind of bladder diaphragm tank is the best replacement for you. Now let’s see how we get there and what it means. Installing a new bladder diaphragm tank can improve the overall function of your HVAC system and greatly reduce maintenance. The conversion formula and charts below will help ensure you get the most out of your system.